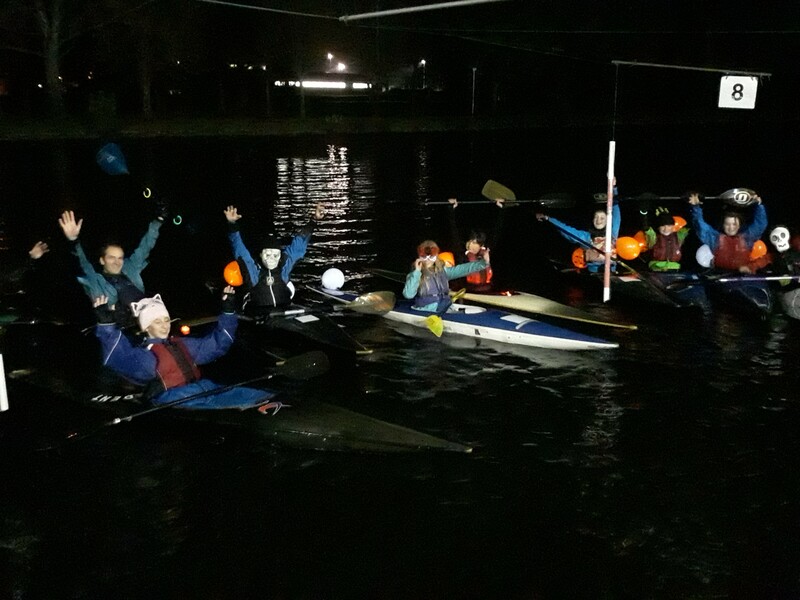 Strange events down at the club … Halloween night at the slalom session on Wednesday 31st October. Juniors and adults all masked up, plus a lot of orange balloons! Very scary. If you would like to try some slalom canoeing come and join us on Wednesday between 6-7 juniors and 7-8 seniors, all year round.